When the concept of 3D printing first came to light, I’m sure I’m not alone in having relegated it to the technically challenged no-man’s-land of my mind – after all, how on earth could an inert object produce 3D objects, as if out of thin air, like Star Trek’s famous replicator machine? However, here at ibiCASA, we decided that something that’s increasingly vowing to “revolutionise” manufacturing probably warranted a second look; so we decided to revisit the burning and ever timelier question: what is 3D printing? Now for the technical bit. First comes the concept. Then comes creating a digital 3D template of said concept on a computer-aided design (CAD) file, or equivalent. The file then sends information to the 3D printer, which is standing by loaded with whatever material it’s designated for, i.e. powder, sheet or liquid forms of plastic, metal, nylon, silver, wax, concrete, or even chocolate. The printer will lay down a layer of the material, and selectively harden (cure), fuse, or cut designated segments of said layer with precision laser technology, UV light, a chemical reaction, or some other fusing method (the shape and parameters of these segments dictated by the design data that’s been sent to the printer). And thus, meticulously, layer by layer, a 3D model will be assembled from the bottom up – ultimately leaving the end user to simply dust or clean off any surrounding loose particles, to reveal the finished model inside. 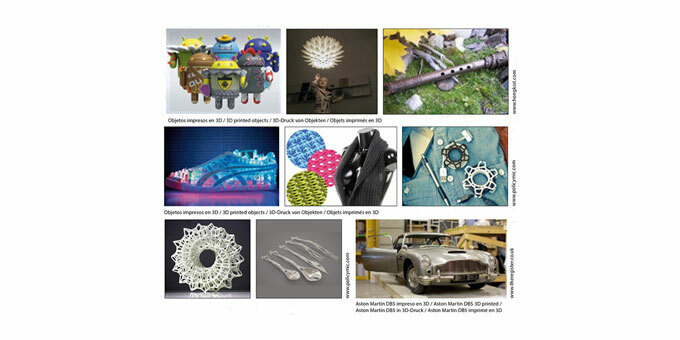 3D printing, aka “rapid prototyping” or “additive manufacturing”, uses an “additive” process, which utilises raw materials on demand, as opposed to a “subtractive” method. Much like a sculptor might chip away at a block of stone to unearth his eventual masterpiece, much of the manufacturing industry presently uses this less cost-effective and more resource-draining “subtractive” approach, with cutting or drilling. 3D printing, on the other hand, builds from scratch, leaving far less waste. 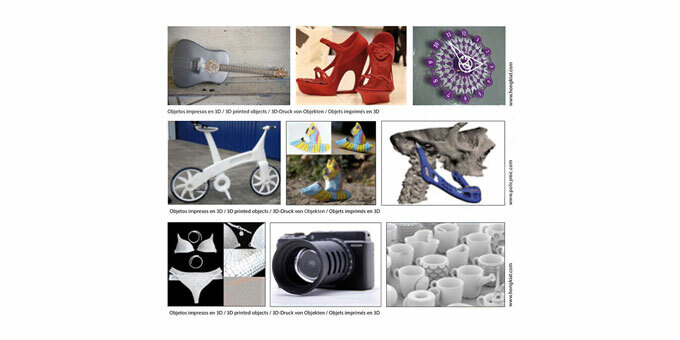 In practical terms, it also offers manufacturers much more flexibility to offer buyers customised designs – as, instead of being tied to doing set product runs in the thousands or millions to justify costs, 3D printing only requires a change of computer file to effectively reset its mould. 3D printing also often offers lighter-weight solutions, for instance cured powdered nylon is said to be as sturdy as steel or aluminium, and yet 65% lighter – as a 3D bicycle already in existence demonstrates. Another advantage of 3D printing is the lower carbon footprint it carries – instead of shipping goods across the globe, data can simply be sent through the internet, to be 3D printed locally. The size and price of these machines vary enormously, from the aforementioned desktop 3D printers (some very basic versions, predominantly just for hobbyists, already selling at around €250), to bigger than room-size beasts large enough to load enough concrete, and reach to the depositing range required, for laying the foundations of a whole house. The most sophisticated 3D printers also offer far greater precision than anything that can be offered through standard manufacturing or even by hand – opening up new gateways in detail and intricacy in design. But, apart from individual car parts, aerospace components, toys, shoes, jewellery, artefacts, and basically anything for which there’s a digital template, what does this all really represent in terms of application? One of the most widely used applications in industry has long been for architects creating scaled-down 3D models of their designs. In medicine: prosthetics, dentures and implants can now be created offering much better porosity, and far greater precision, with the use of patients’ CAT or MRI imaging to build bespoke 3D pieces, as opposed to the standard one-size-fits-all variety previously on offer. Surgeons can in the same way build 3D models of any patient’s bones or organs, to study optimum procedure ahead of entering cost-laden operating theatres. Elsewhere in the clinical circles, university labs are eagerly researching layering human cells with the 3D print formula, to create human organs for transplant. Clearly, there is little doubt left that 3D printing is redefining the landscape of manufacturing, but what does this all really mean to us personally? In simple terms, the future looks somewhat like this: very soon, we will all have wider access to either home 3D printers, or larger industrial ones offered for our use - much like we might utilise a photocopying or printing shop now. 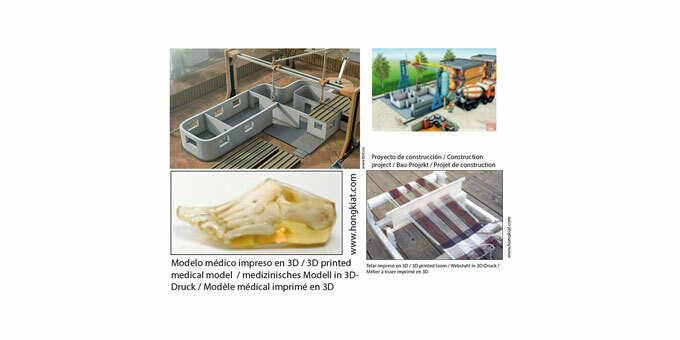 We will pop to these establishments with a CAD file or equivalent in hand, and 3D print whatever we so desire. 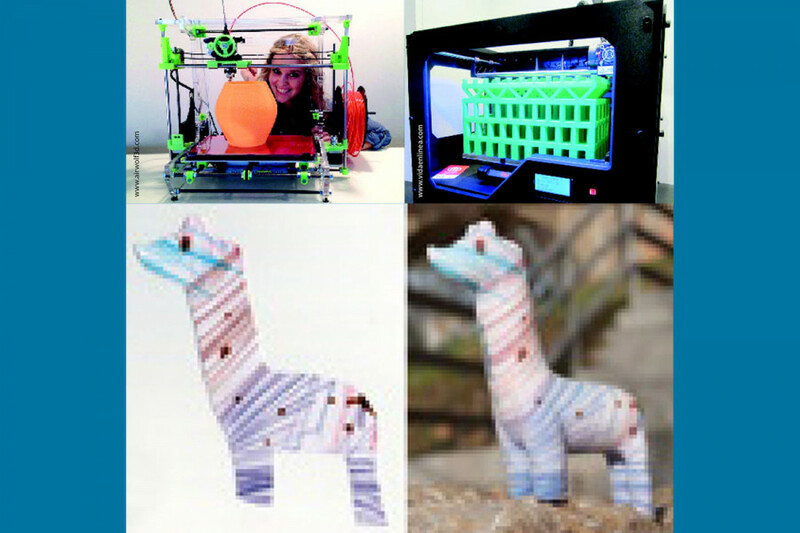 With the home 3D printers, parents are already taking selected kids’ drawings and rendering them as 3D sculptures for prosperity, and hobbyists are taking great pride in mocking up any manner of design, primarily mini models of things, into 3D replicas. The spare parts industry is about to be shaken up too. The age-old quandary of not being able to find spare parts for things that are out of circulation, or waiting for things to arrive from the other side of the world… no longer a problem. Soon, we will be able to download the data required from manufacturers’ websites, and 3D print whatever we need. Inevitably with time, this will go from small individual parts, to much larger and more ambitious pieces.